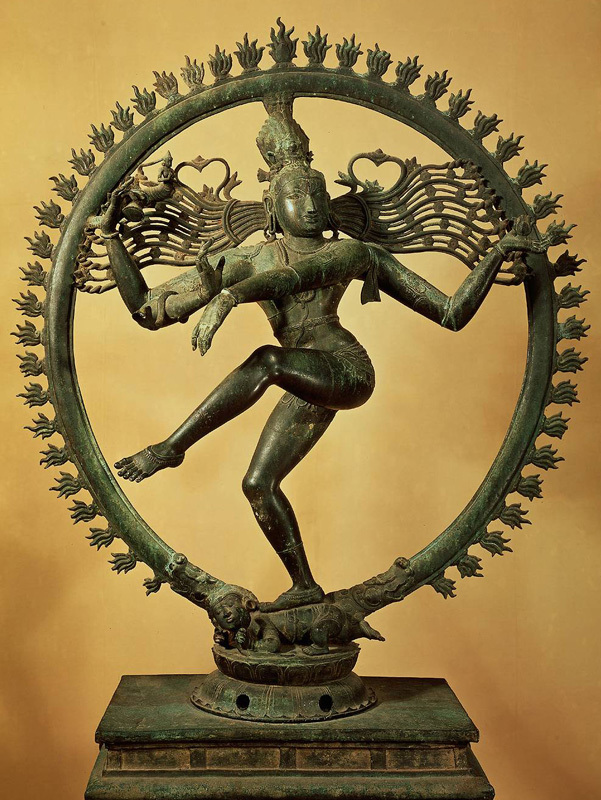 Bharatanatyam is one of the most popular and widely practiced classical dance styles of India, with sculptural evidence dating back nearly 3000 years. A highly spiritual and dedicatory dance form, Bharatanatyam‘s roots go back to the Hindu temples of Tamil Nadu, in South India. The dance moved from temples to theaters over time, but has retained its characteristic devotional component, expression of human emotions, and stylized storytelling. The flexibility of the Bharatanatyam framework lends itself well to both traditional themes as well as modern day subjects. Originally performed only by female soloists, Bharatanatyam is now performed by male and female soloists as well as ensembles all over the world. In its present form, Bharatanatyam is approximately 200 years old, and continues to evolve as a “living” performance art. Bharatanatyam is comprised of three main aspects – nritta, or technical dance, with a sophisticated base vocabulary used to build intricate combinations and rhythmic patterns that does not convey any specific meaning; nritya, or expressional dance, using facial expressions, highly stylized gestures, postures and body language to convey any mood; and natya, or dramatic storytelling. All of these aspects are codified in the Natya Shastra, the ancient Indian treatise on dance and theater arts, and are used in harmony to uplift the audience and the dancer to a higher level of contentment and spiritual consciousness.